Eela, winner of the 2012 iF Product Design Award, possesses a graceful pleated wall, seamlessly-integrated handles, and stylized Bakelite lid knob make it nothing short of functional artistry. 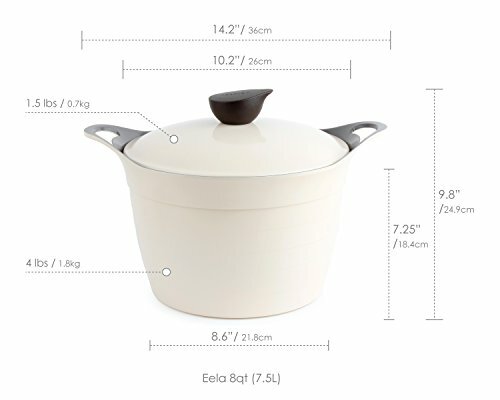 Regarded as Neoflam's flagship cookware line, Eela is feature rich and extremely lightweight. Eela's cutting edge design and color make it the least boring piece of cookware in your arsenal. Cast aluminum design is lightweight at just 1/3 of the weight of cast iron. It is extremely heat conductive and reduces energy consumption while cooking. 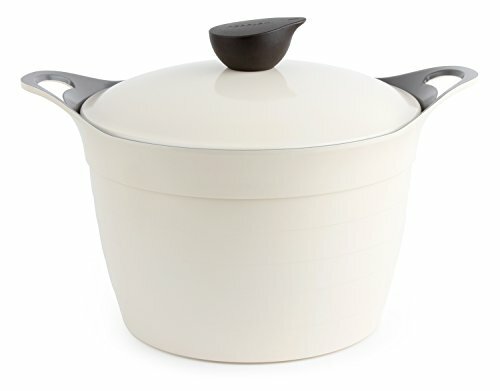 Stockpot and Lid are dishwasher safe. Hand wash recommended. Use a pan protector when nesting. 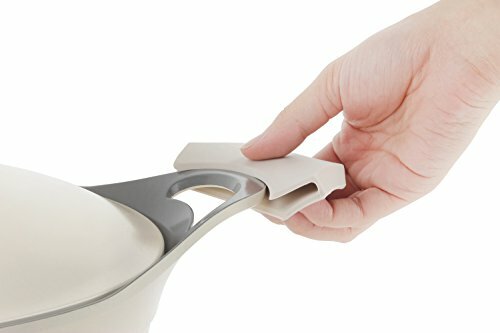 Eela won the 2012 iF Design Award. Comes with a Limited Lifetime Warranty.